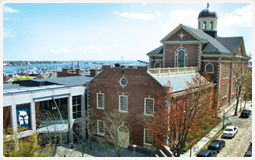 New Bedford estate planning attorney Brian M. Glover frequently advises clients on estate planning matters and assists them by drafting wills, trusts, advance directives and health care proxies. He also assists family members with probate and trust administration and other post-death matters. Below are selected resources that may be helpful to people seeking information about estate planning and probate in Massachusetts. If you are considering creating or modifying an estate plan or need assistance in a probate court matter, contact Brian M. Glover for assistance. You can avoid paying taxes on an otherwise taxable gain when you transfer property, if the transfer qualifies as a 1031 Like-Kind Exchange. Learn more at the IRS webpage on 1031 Like-Kind Exchanges. At the American Bar Association’s Probate & Property Magazine Archive, you can view past issues Probate & Property, a bi-monthly magazine with up-to-date, practical information regarding real estate, wills, trusts and estate planning. Why do you need an estate plan? Visit this page by the American Bar Association to discover the advantages to estate planning and learn about 10 things estate planning can do for you. The website of the Massachusetts Commission on End of Life Care can help you learn more about health care proxies, living wills and advance directives in Massachusetts. The Commonwealth of Massachusetts Executive Office of Elder Affairs is designed to assist elders and their families with answers to questions about services and opportunities available to seniors and their caregivers in Massachusetts.